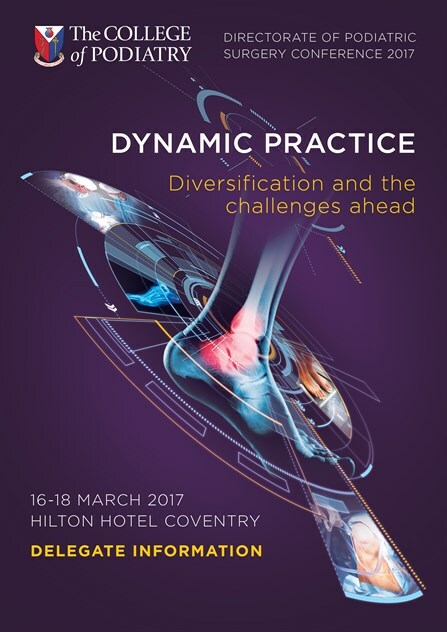 We’re back on the road attending the Directorate of Podiatric Surgery Conference in Coventry on March 16th, 17th & 18th. The conference has been developed with the progression of podiatric surgery in mind with leading podiatric surgeons from the UK and USA speaking. Firefly will be exhibiting in the exhibition space at the conference, make sure to call over and say hello to Claire who will be manning the stand. Claire will have a selection of Firefly’s products on display at the stand. She will answer any questions you have about our ordering process, prescription forms or technical support. Podiatric surgeons of the future will increasingly have to surgically manage the high risk diabetic foot and provide leadership in the multidisciplinary team. The profession and the industry supporting podiatric surgery is also developing at a pace never seen before. New equipment and techniques have allowed surgeons to develop skills that inevitably improve patient experience and outcomes. You will also nd an experienced faculty running the popular cadaver course which has become a highlight of the conference. Podiatric surgeons will be able to hone in their skills on complex procedures and learn from the experience of the faculty and colleagues. If you would like to receive a Firefly Orthoses starter pack containing a Firefly product catalogue, order forms, Richie Brace catalogue, free post labels and other Firefly info you can leave your postal address with Claire at the conference or you can email your details to info@firefly.ie. The full conference programme can be downloaded from this link.